One thing we pride ourselves in, is support. 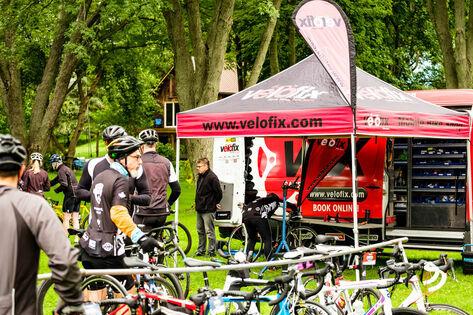 Whether it's a pre-ride tune-up, changing a flat on the course, or borrowing a helmet - we've got it all! 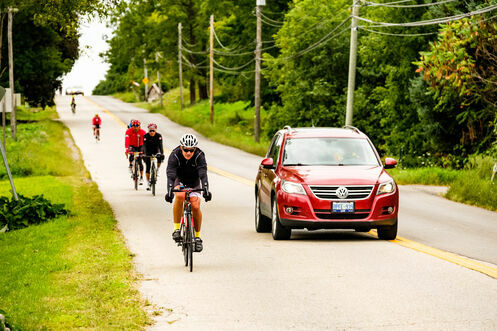 We provide great event-day service for all your needs throughout the day and during your ride. This allows you to push your limits and to ride harder, faster and stronger than you normally would on an unsupported ride. We are here for you for all your mechanical needs! Each rest stop is equipped with mechanics who can help you with any mechanical issues you run into. We also dispatch mechanics on the road in case you get a flat on the course and need immediate assistance. Injuries and accidents happen. We hope they don't, but we still have to be prepared. We have nurses at each rest stop and mobile medical staff on the route in case you need minor medical attention. However if it is critical, please call 9-1-1! Some days just aren't our days. And we understand that. Maybe you were a little too ambitious and it's just a tad too far or you're just having a sluggish day. Have no fear! We have a fleet of vehicles circulating the route and ready to pick you up wherever you are. Simply call or text the number on the back of your Bike ID plate and we'll be on our way to pick you up and take you back to the festival area for hard earned beer and bbq meal!